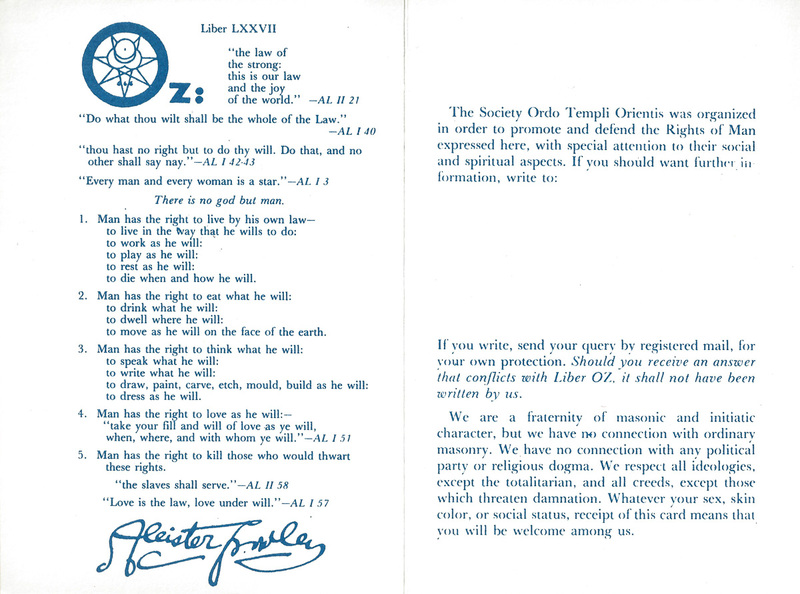 Published by Society Ordo Templi Orientis in America circa 1980, NP – Nashville, TN. A single sheet of glossy white cardstock, folded, to give four 3 ¾“ x 5 ½“ pages. 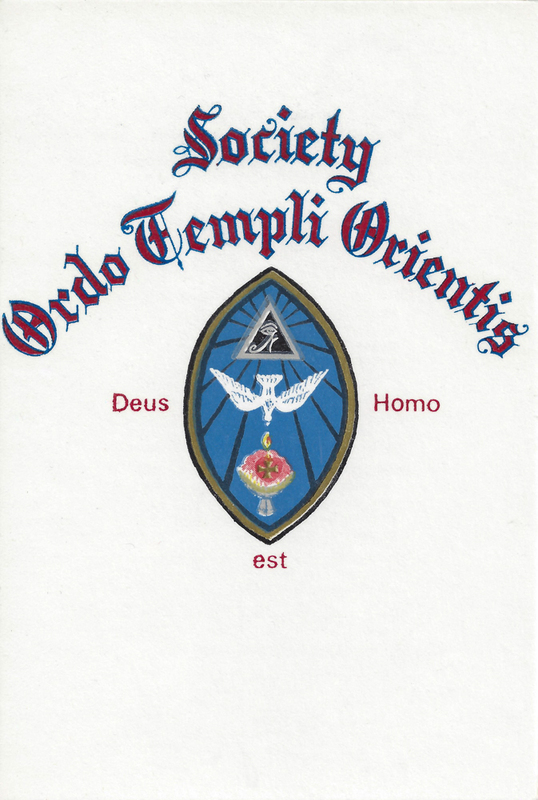 Society Ordo Templi Orientis with color O.T.O. 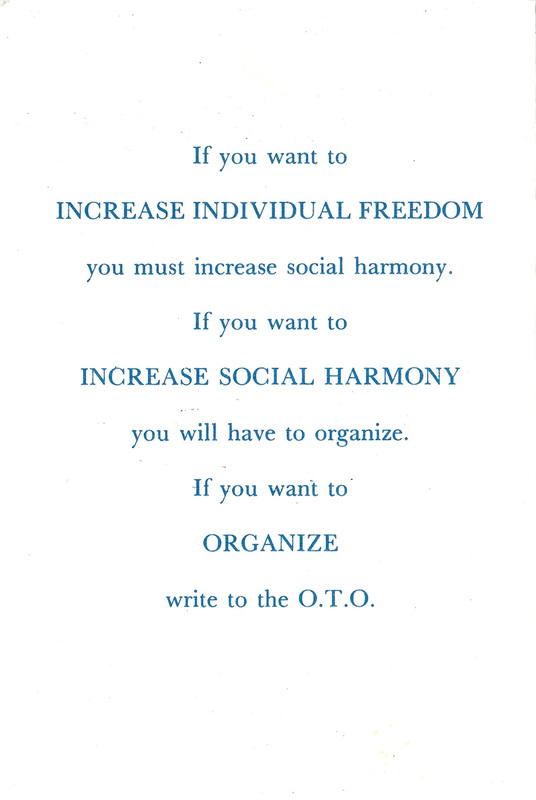 lamen printed on cover text of Liber Oz along with some notes printed in blue on the inside and back cover. A blank space was left so that local bodies could attach their address; for this reason, used copies are often found with an address label attached here.